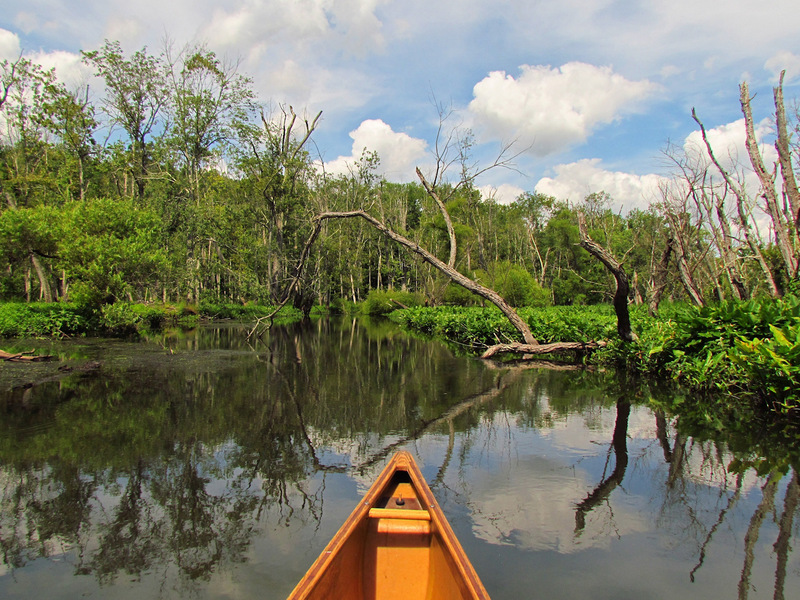 The Great Swamp, one of the largest wetlands in New York State covers some 6,678 acres. The Oblong Land Conservancy (OLC), the Putnam County Land Trust (PCLT) and Friends of the Great Swamp (FrOGS) are pleased to announce that they have formed a collaboration and jointly entered into a Memorandum of Understanding (MOU) that will lead to increased focus on conservation efforts in the Great Swamp Watershed. • And it provides critical habitat for a wide variety of flora and fauna, some of which are endangered. The MOU identifies two specific initiatives that will raise public awareness of the importance of the Watershed. The first involves the creation and placement of signage at the points of entry on the principal roads to the Watershed so that everyone can become familiar with the Great Swamp's existence and boundaries. The second initiative involves the development of an educational program called Swamp Smart. This will inform watershed residents about the importance of the Great Swamp and what each individual can do to protect its quality. OLC and PCLT jointly applied for a Catalyst Grant to initiate local and regional partnerships and community initiatives that will lead to greater engagement in, and increased public support for, the protection and stewardship of environmentally significant lands. Conservation Catalyst projects for land trusts should engage multiple partners and stakeholders, have clearly defined outcomes, and advance the land trusts' missions, strategic goals, and programs. Funded projects typically involve collaboration with local municipalities, other land trusts, or other conservation partners and to that end FrOGS has joined the collaboration to build on the work they have undertaken in conserving large areas of the Great Swamp. FrOGS is an all-volunteer conservation organization dedicated to promoting stewardship of New York's Great Swamp. FrOGS pursues this mission through Education, Scientific Research, and direct Conservation Action. They provide science based information for local issues and focus on protecting habitat and species of conservation concern through collaborative coalitions with other organizations.